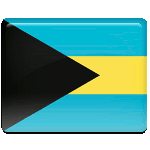 National Heroes' Day is a public holiday in the Bahamas celebrated on October 12. It was officially established in 2013, replacing Discovery Day (also known as Columbus Day). Columbus Day commemorates the anniversary of Christopher Columbus' arrival in the Americas in 1492. This date is celebrated in many countries in the Americas. However, in some of these countries it has transformed into a celebration of indigenous culture. In the Bahamas, October 12 was celebrated as Discovery Day because on that day in 1492, Columbus reached an island in the Bahama Archipelago and claimed it for Spain. However, in 2013 it was decided to replace Discovery Day with National Heroes' Day in order to cut ties with the country's colonial past. Bahamian National Heroes' Day honors the individuals who have contributed to the development of the Commonwealth of The Bahamas as a sovereign and independent state. The list of country's national heroes includes freedom fighters, politicians, religious leaders, educators, suffragettes, artists, cultural icons, sports icons, and entertainers. As National Heroes' Day is a public holiday, all employees are given a paid day off. When it falls on a weekend, the following Monday is designated as a non-working day.